It was pouring rain again! So my pic is a little....funky. I hate it when the light won't do what I tell it to! 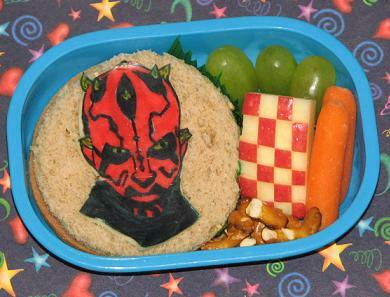 Kidlet requested Darth Maul for his bento today. OOOO, very scary...where's Obi Wan when you need him!